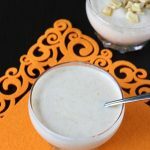 Milk oats porridge for babies – i have already shared many recipes for babies over 8 months old and this is the first one iam sharing for babies below 8 months. Most babies cannot really eat much until 8 months and all the efforts of introducing baby to solids prior to 8 months is only to get them used to the texture and taste of solids. The foods that are served to babies below 8 months need to be in a smooth thin consistency as their digestion is still in a developing stage. Loading them with too many solids that are not of smooth texture or of incompatible combinations can lead to frequent or continuous spit ups, chronic, colic, poor digestion, constipation etc. Due to all this baby may end up in frequent sleepless nights due to colic with continuous crying. so the foods that are prepared for babies under 8 months old are entirely light, different and more care needs to be taken while trying new foods. The first 6 months a baby needs to be breastfed exclusively to develop immunity and gain good weight. But based on the baby’s needs, developments and weight gain, in the recent years pediatricians are suggesting solids from 4 months on wards. Isn’t rice or rice cereal the first food to be tried for a baby? Yes white rice or rice cereals have been the first food for babies since many decades as it is easy to digest. But they tend to constipate hence oats is a good alternate. Oatmeal has higher nutritional values than rice and also helps to prevent constipation in babies. A google search on “rice vs oats nutrition” will fetch you the nutritional details. Most babies do well with oats or oatmeal since it is one of the least allergenic food. 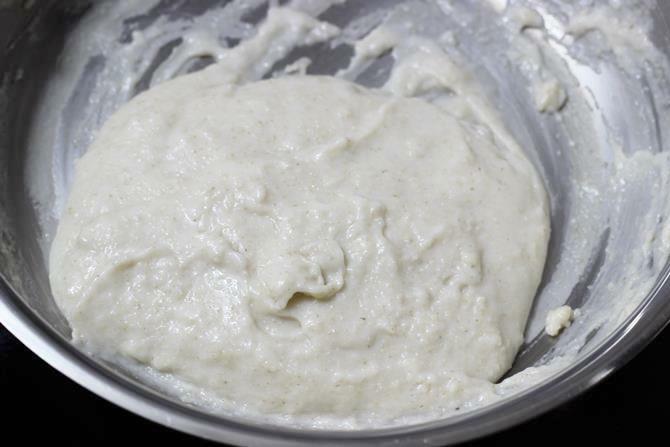 Most times it is the gluten contamination that causes problems. 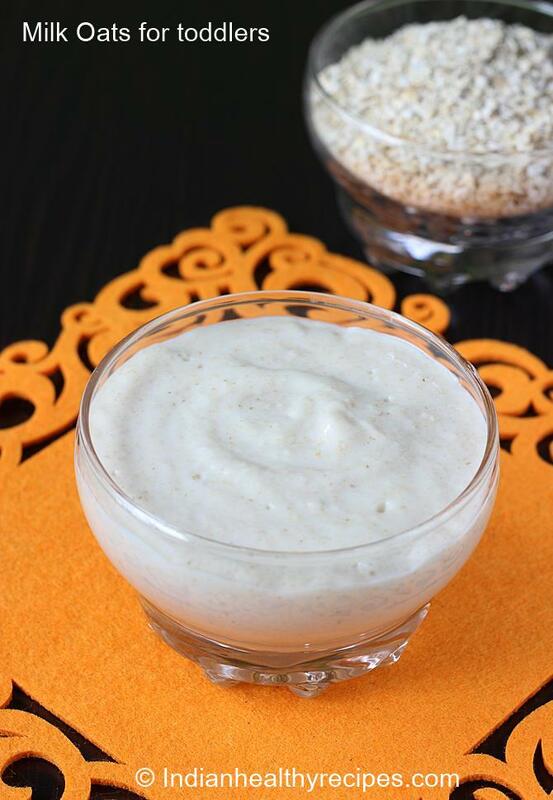 Here are some tips for introducing oats to babies below 6 months old. 1. Before you try any new food to your baby, consult your pediatrician and not a general medical practitioner. Since each baby is different it is important to get a pediatrician’s opinion. 2. Oats are gluten free, but may get contaminated with gluten from other grains like wheat or barley since they are processed in the same units. So while introducing oats to babies below 6 months, care must be taken to use only GLUTEN FREE OATS or Labelled as BABY OATMEAL. Otherwise it may lead to colic, rashes or diarrhea. The same is true even to babies and toddlers of any age who have a gluten intolerance. Babies above 6 months can be served the regular oats if there is no history of gluten intolerance. 3. Follow the 3 day test rule while you introduce any new food. Introduce only one new food for 3 consecutive days, this helps to track whether the food is suitable to your baby or not. If you notice any rashes, wheezing, more colic than usual or loose stools, then stop the food immediately and consult your pediatrician. Gluten free oats and baby oatmeal is available as organic and non-organic as well. Try to use organic if available. 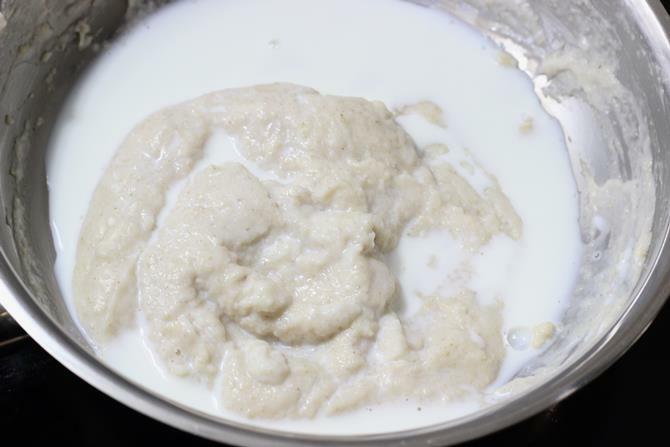 The consistency of oats porridge for toddlers or for babies above 8 months can be slightly thicker as shown in the image below. 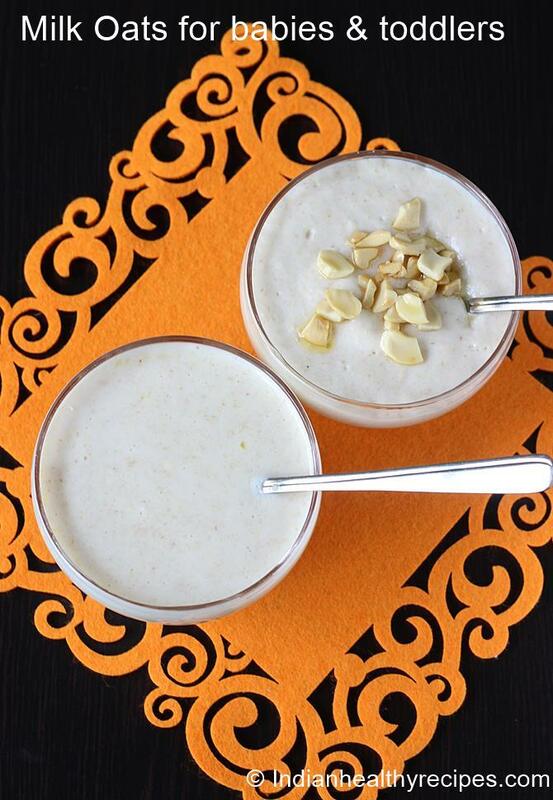 This milk oats porridge recipe makes a mum and baby’s serving. Adjust the quantity as needed. 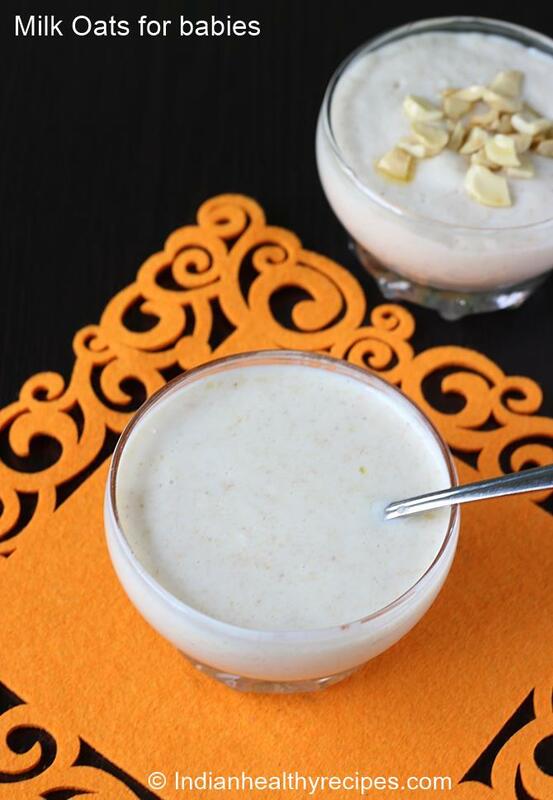 milk oats porridge for babies. 1. 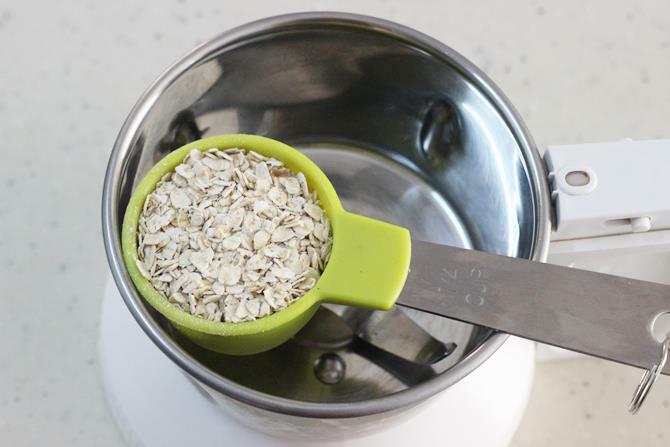 Add oats to a blender and powder finely. 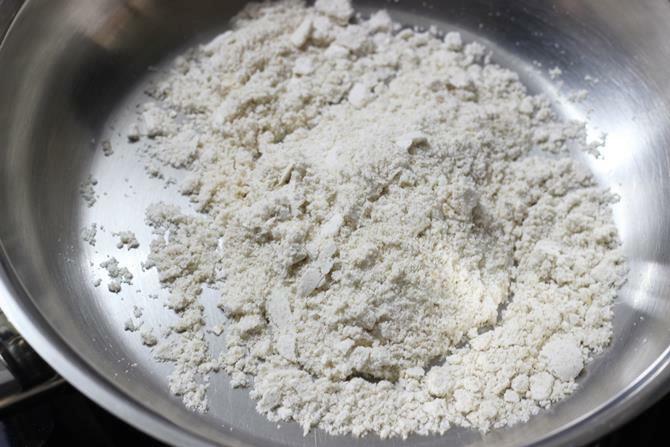 For babies over 8 months, you can skip powdering if your baby can eat slightly coarse porridge. For toddlers, you can add few blanched almonds or walnuts if not allergic. 2. Add it to a pan. 3. Add water and stir well to break lumps. Begin to cook on a medium flame with out burning constantly stirring. For babies over 1 year, use cow’s mik (if not allergic). 4. Switch off when the oats thickens as you see below. For toddlers you can serve this after it cools down if you have cooked in milk. 5. Cool it completely. Make formula milk or whatever milk you are using. Pour it to the cooled oats. 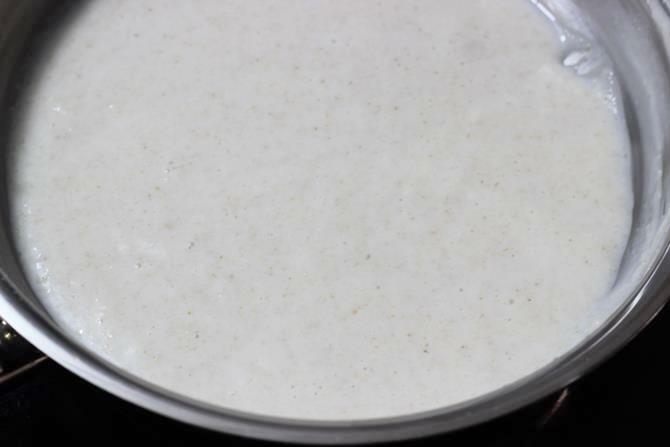 Serve milk oats porridge. For toddlers over 2 years, you can add some roasted cashews. Please supervise you toddler since nuts may choke. Which brand oats u have used?? What can i add instead of sugar for sweetness?? I use Anzen brand organic oats. i m really having a hard time selecting oats for my baby (7 month old)….can u help me….as u suggested i was searching for organic gluten free rolled oats but most of th brands ask for washing these oats before cookin…is ther any method to prepare oats cereal(powder) from such rolled oats…. Did you check online?. I dont think there is any other way. Thanks for the recipe. How would it be if we dry roast the rolled oats and then powder n store it and use as and when required?would the porridge thus made taste different?also,how can we introduce green leafy vegetables like spinach,coriander to a 7 month old baby?are there any of these green veggies that shouldn’t be given to babies? That was a useful tip. Thank you. 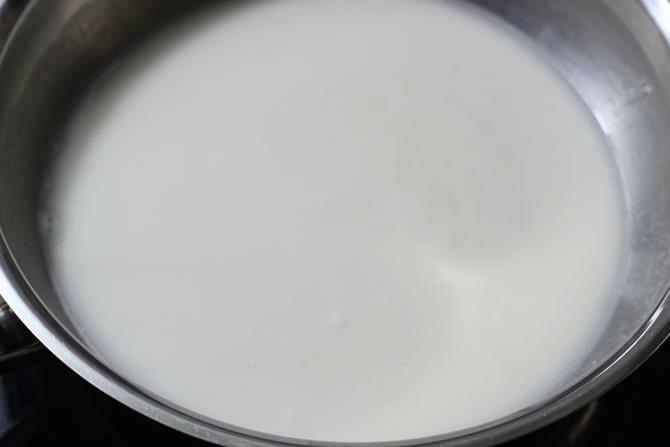 Formula milk should not be boiled. You can boil the oats in water and then cools it down. Then add formula milk. Thank u very very much for ur valuable suggestion. yes her baby is active & normal.Of course will see a doctor today. My bhabi doing a mistake. Now she is suffering a lot. She was following the test rule while she introduced banana, apple, carrot to her 6months old baby boy. But her baby can’t digest well. Starts slithery loose stool now she feed her baby homeopathic but no works. Pls give a suggestion. Hi..my baby was 6 month old..I am start ur recipe ..day by day according to ur 6 month diet chart..my baby was enjoying food..thx u very very much…but I have 1 Q can I start my cow milk or buffalo milk to baby ..now my breastfeeding..
You can start buffalo milk by diluting with water 1:1 ratio until 8 months. Then slowly reduce the water. From 10 months you can give without dilution. Please note that buffalo milk can also constipate the baby, so you will need to give more runny foods, fruits, soups and rasam. You can give cow’s milk only after your baby turns 1 year old. This series on baby food deserves a gold star! Amazingly detailed and informative. First time mother here, and baby is almost 19 weeks old. Thought I should start off with solids after I got the okay from his doctor. But I just didn’t know where to begin. This really helped me and will prepare my first batch of rice cereal today. Thank you so much Swasthi…. thanks you very much for this lectures.Please will i feed my baby the oatmeal with cashew. I am all for giving oats porridge for a baby. But I also know that regular oats reduce cholesterol level in the body. So will my baby’s weight reduce when I serve oats porridge?. Also, can you please name some brands that contain ‘baby oatmeal’ label?. You can try using organic rolled oats if available. Else you can use normal rolled oats. Haven’t introduced oats yet to my toddler who has completed 20 months. Reason being i got highly confused after researching on net which oats is suitable for babies since she was 8 months at tht moment. Rolled oats was the solution which i didn’T get in any of the retail store nearby my place. What they had was instant oats. Now as she has completed 20 months ,what do u suggest …which type of oats is suitable for her?.. Hi Swasthi, can you please clarify whether instant oats can be given to 6 months + baby also? Very useful recipe explained well with step by step pictures.